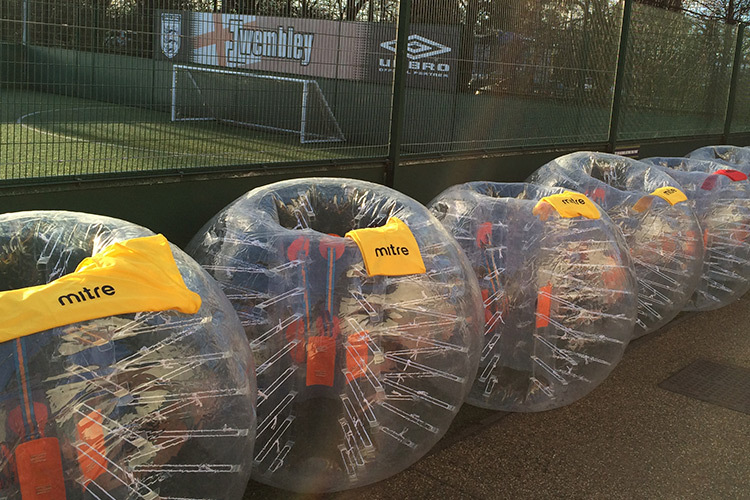 Smash, crash and bash into your opponents in a fun filled, action packed Bubble Football Session. Inside the bubble there are secure handles and straps, handles are in front of you to help you keep your balance and shoulder straps ensure you are kept in place inside the bubble. We can cater for stag or hen do's and have a series of games especially for these events. We will try to cater for whatever size your group, just let us know and we will advise. Brand new equipment and qualified referees will ensure you have a fantastic day. If you are looking for an experience you will never forget then look no further. We believe you will not find a better all-inclusive package anywhere else and we have confidence in the fact that our service is of the highest quality and best value for money. The company director (Mark Sinclair) has over 15 years of experience in the sport/leisure industry. As well as being joint owner of the business, Mark is also the General Manager of Goals Soccer Centre in Aintree Liverpool and is a fully qualified FA coach. Mark and his business partner Stephanie run the full session, providing assistance throughout whilst making sure everyone has a great time.